I usually don’t like to get dessert whenever we go out to eat because I seriously don’t have room for anything else after eating so much food. But every now and then I do like to order a nice, cold milkshake to satisfy that sweet craving and I usually share it with others at the table. 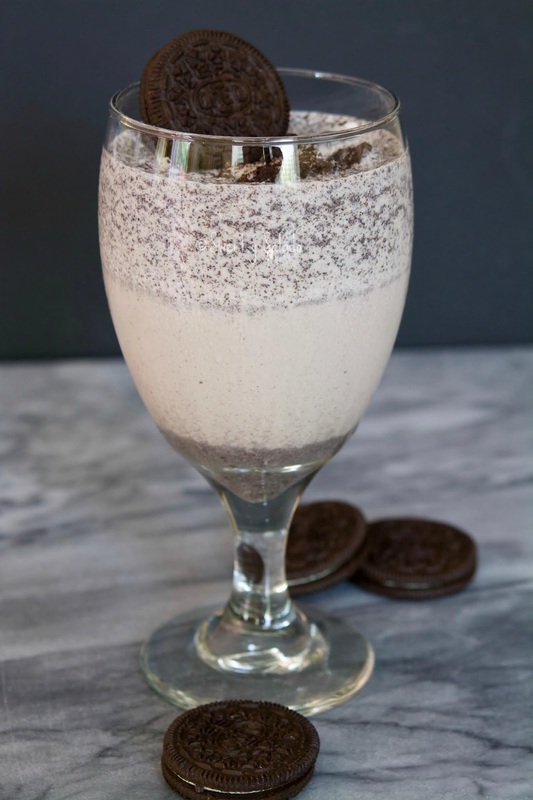 An Oreo milkshake is definitely one of my favorites because it has that delicious combination of vanilla and chocolate which I love so much. And the odd thing is, I’m not a big fan of regular chocolate Oreos. Isn’t that crazy? I don’t like that thick, sweet cream in the middle and the cookies themselves are too bitter for my taste. But when they’re blended with vanilla ice cream and cold whole milk I can’t help but drink the whole thing. To make this milkshake you can use any kind of vanilla ice cream, so if you want to use a homemade version like the one I have on the blog, go right ahead. 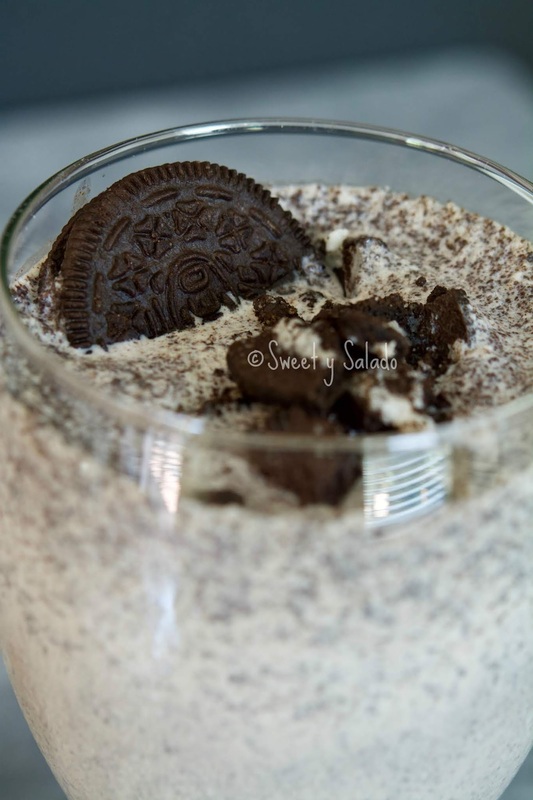 And if you’re feeling a bit adventurous, use any kind of Oreo cookie flavor or any other cookies of your choice. 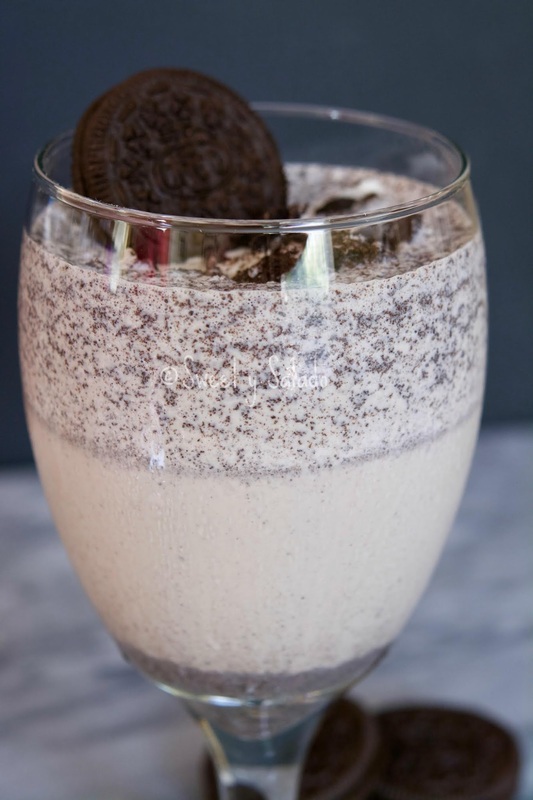 In a blender blend the vanilla ice cream, milk and Oreo cookies. 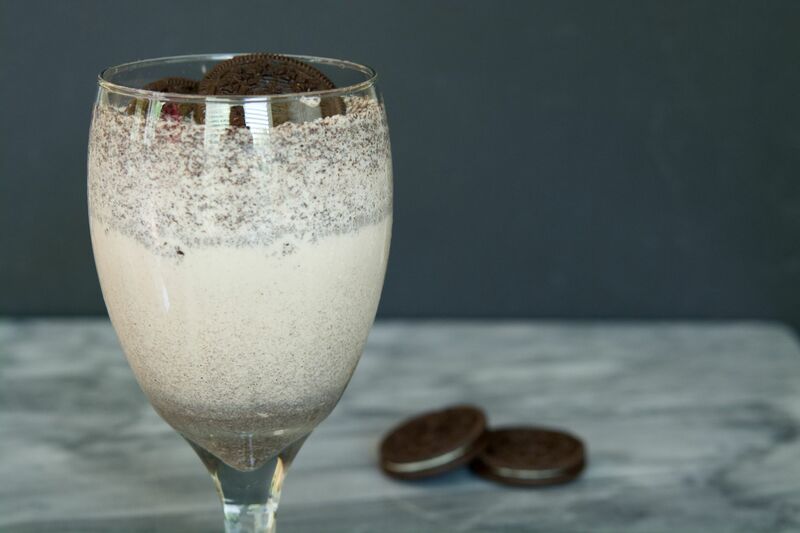 Serve immediately in two large glasses and garnish with crushed Oreo cookies on top.